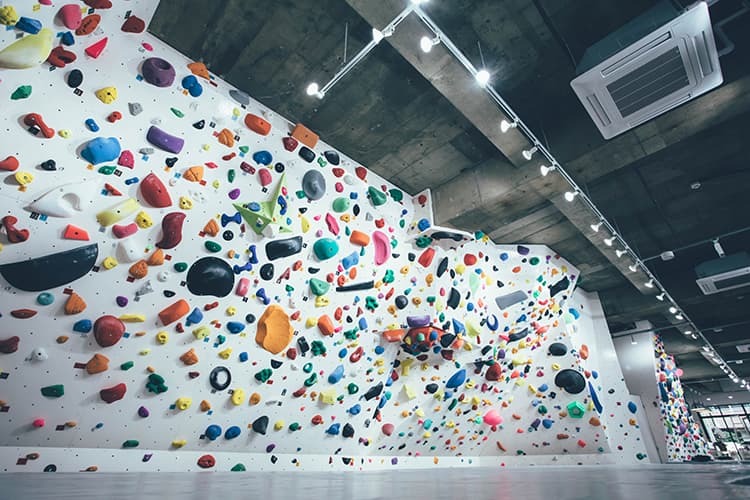 BOULCOM is a bouldering gym with locations in Shinjuku and Kawasaki. We are open everyday from 7:00 to 23:00. We provide the most affordable prices in the Tokyo-Yokohama metropolitan area and welcome those who are new to the sport to join with ease. With our English speaking staff available to provide assistance, many traveling boulders as well as those residing in Japan come to climb. At BOULCOM, we want to make sure that you have the best experience possible. Beginners, first timers and children are all welcome. No appointments needed so just drop by! Very welcoming and friendly staff. Some good bouldering routes to challenge even advanced climbers. Great place to go if you live close by. The are mentally and physically challenging, even though the place is quite small. 4 stars only because the force you to take of your shoes and go outside to reach the men’s locker room. I’m a regular costumer. Great bouldering gym near Yoyogi station! We got the chance to stop by several times while we were staying nearby on vacation and thoroughly enjoyed the atmosphere and the route setting. No annual fees or renewal fees. We have prepared a set menu according to your time of use. Below are the usage fees according to the time of reception. There will be no additional charges after reception! All You Can Climb Amount from Reception to Closing time! your time of use for your convenience. the difference. Please feel free to ask the staff for more information. For those who would like to come a few times a month. Below are the available times for this pass. The perfect menu for those who want to try climbing just for a short time. *This menu is not available during weekends and holidays. when you sign up for a membership! Sign up for a membership when you come for a trial and your next climb will be free! Available to use on weekdays, weekends and holidays. Receive a Free membership & a Free one day climbing ticket! When you purchase a Three day Monthly Pass! You will also receive a Free one day climbing ticket that can be used anytime! Receive a free membership & Free rental shoes! When you sign up for a One Month Pass! Climbing Shoes rental will also be free for one month! *We provide climbing chalk for Free. Student prices are available for those under the age of 18. Those under the age of 18 require parental permission to climb. Please download the membership form from the icon below and bring a copy singed by a parent or guardian to BOULCOM. If it is not possible to have a copy signed before the intended climbing date, a staff will call a your parent in order to confirm. KAWASAKI:located within a convenient distance form Yokohama. 5 minutes walk form Shinjuku and Yoyogi Sta. Close enough to visit within 10 minutes from Shibuya! 5 minute walk form Kawasaki Sta. Close enough to visit within 15 minutes from Yokohama! A t-shirt and pants that you can stretch in etc. Please bring sports wear and a pair of socks. You will be required to wear specialized bouldering shoes to climb, but our store provides rental shoes if needed. We provide climbing chalk for free. I’m worried because it’s my first time bouldering. BOULCOM was established with the aim to provide a safe and enjoyable environment for new climbers. 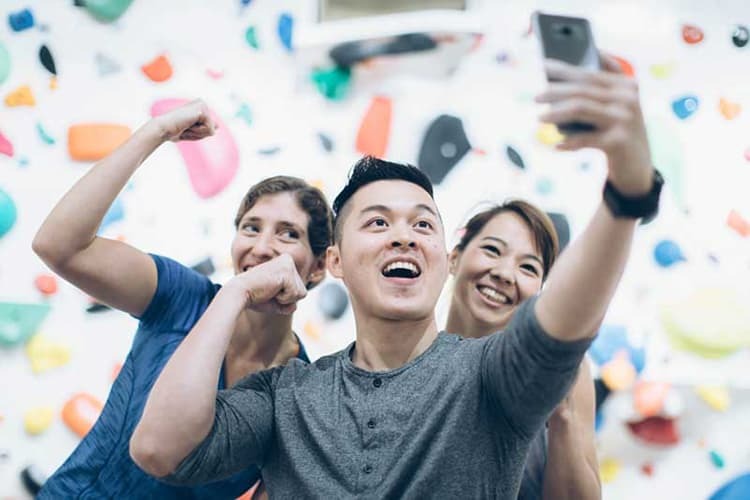 Our gym has been chosen by many first time boulderers; In fact, 80% of our customers are new to bouldering. We provide free climbing lectures for or beginners, so that you can climb worry free. We receive payments by cash only. We apologize for the inconvenience. Form what age can they climb? Children can climb from age 3. There is a specific time range for children to use the gym depending on their age, so please be aware. High school students: Until 10PM. Middle School Students: Until 8PM. Middle and high school students are required to have a parent sign our permission slip prior to climbing. Elementary School students and ages below require a parent or a guardian to be present. I am here on vacation and would like to climb just once. Would I be required to sign up for a membership? If it is during a weekday, the Shinjuku location has a 45minute “Trial menu” that does not require a membership. 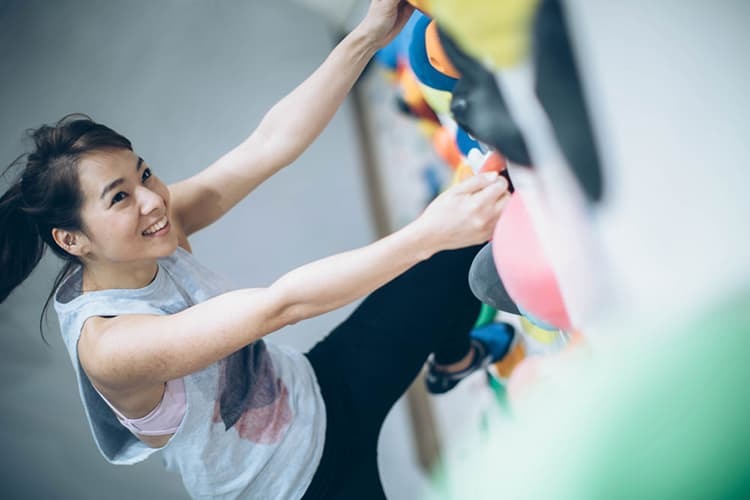 This does however limit your time to climb, so if you would like to take your time and really enjoy climbing or climb on a weekend we do require that you sing up for a membership. Our membership fees are the most affordable in the area so it’s won’t hurt to sign up!